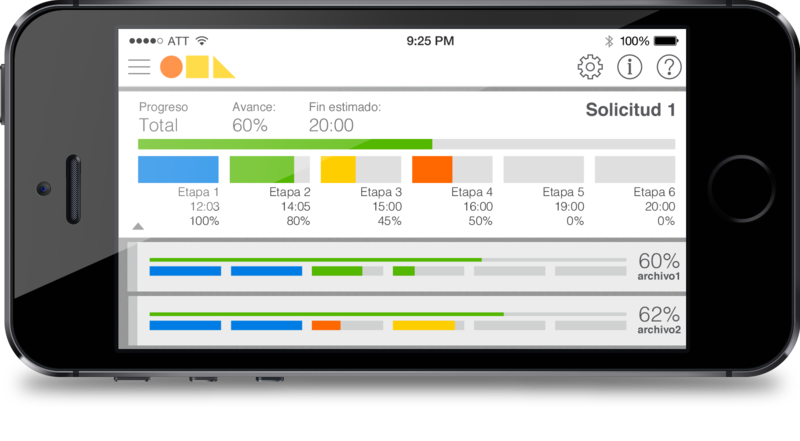 Production tracking and Dashboards, mobile and web apps. Two separate apps for the same company. One is a Production & Distribution Management System, the other one displays business intelligence dashboards for the client to keep track of how the business is doing. For this project I did extensive usability research, testing, and defined standards to make the system scalable. 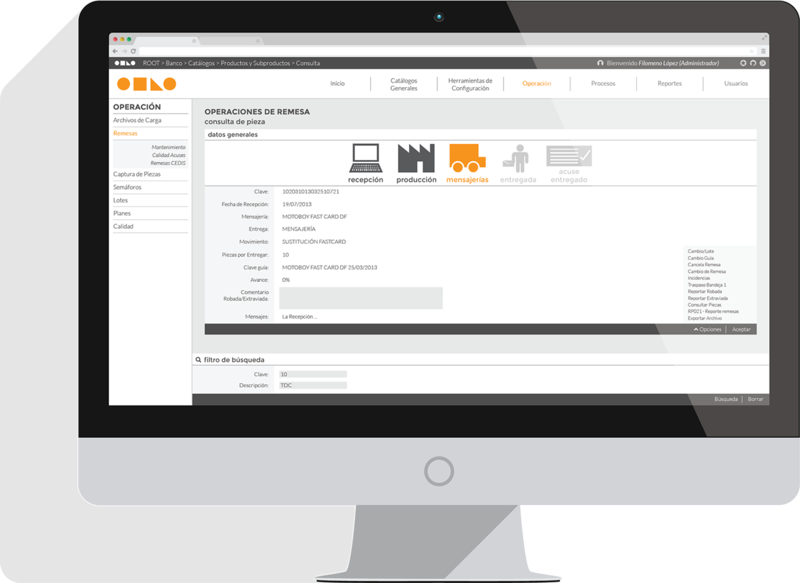 Web application that manages production in a factory and distribution of its products. Here the user can verify the status of a certain piece and see how everything is working. He can see and modify available catalogues, manage users, and do many other things relating to a production line. Although it is only targeted to computers, the design is responsive and adapts to different screen sizes. Compatible with recent major browsers. Designed for and in collaboration with SISU Technologies. This app shows a batch’s progress in a factory. Sometimes a batch can be divided in different “sub-batches”, and the progress can be different for each of those, so they are also displayed. The general progress of the whole batch is shown with white at the top and each “sub-batch” is below with a light gray background. If one of the gray containers is pressed, it displays more information. The bar on top shows the whole progress while the smaller bars below show each stage of the process. The colors are used to determine if the production is on-time, delayed or stopped. This application is responsive and was designed for smartphones, tablets and computers. (Android, iOS, and major browsers) Designed for and in collaboration with SISU Technologies.